In this report, Digital Payments are defined as non-cash transactions processed through digital channels. 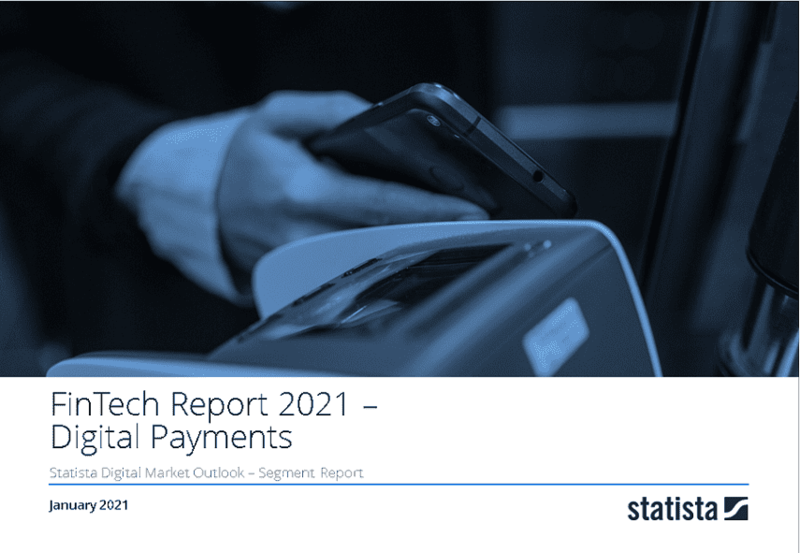 Following this market definition, the digitalization of financial services is associated with a disruptive change within the industry when it comes to the checkout process (online purchases) and payment process at the POS (offline purchases). Digital Payments can hence be considered as the next evolutionary step enabling further financial services and replacing classic, old fashioned payment methods (from cash to credit/debit card to mobile, digital wallets). Mobile POS Payments: Transactions at Point-of-Sale that are processed via smartphone applications (so-called “mobile wallets”).Well-known providers of mobile wallets are ApplePay, and Samsung Pay. The payment in this case is made by a contactless interaction of the smartphone app with a suitable payment terminal belonging to the merchant.